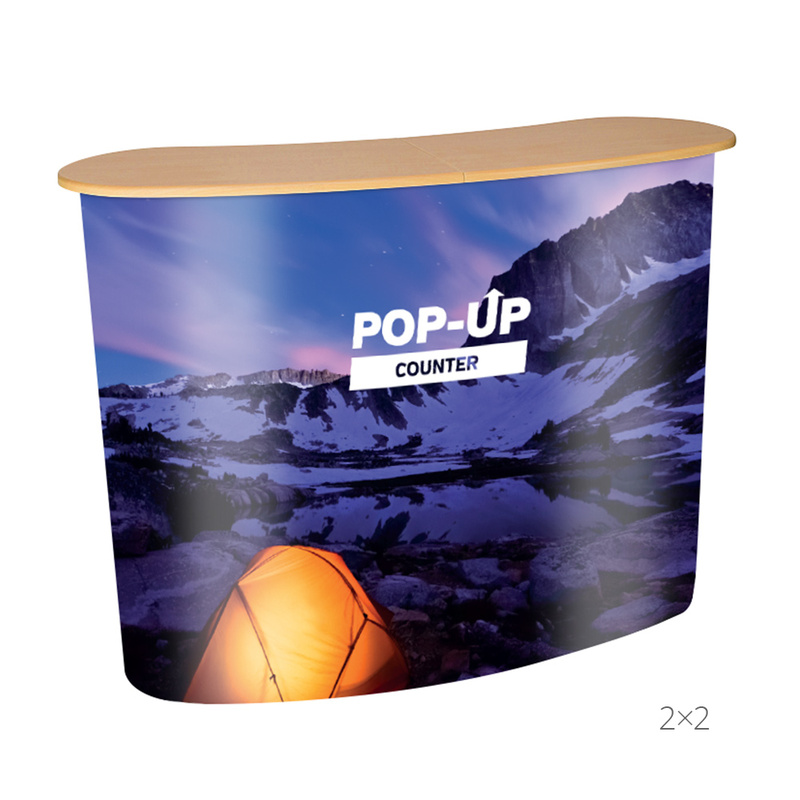 Sometimes all you need to sell a product, service or a company at an exhibition, showroom or event is a counter that offers literature and allows you to have a conversation with anyone who is drawn to your advertisement. 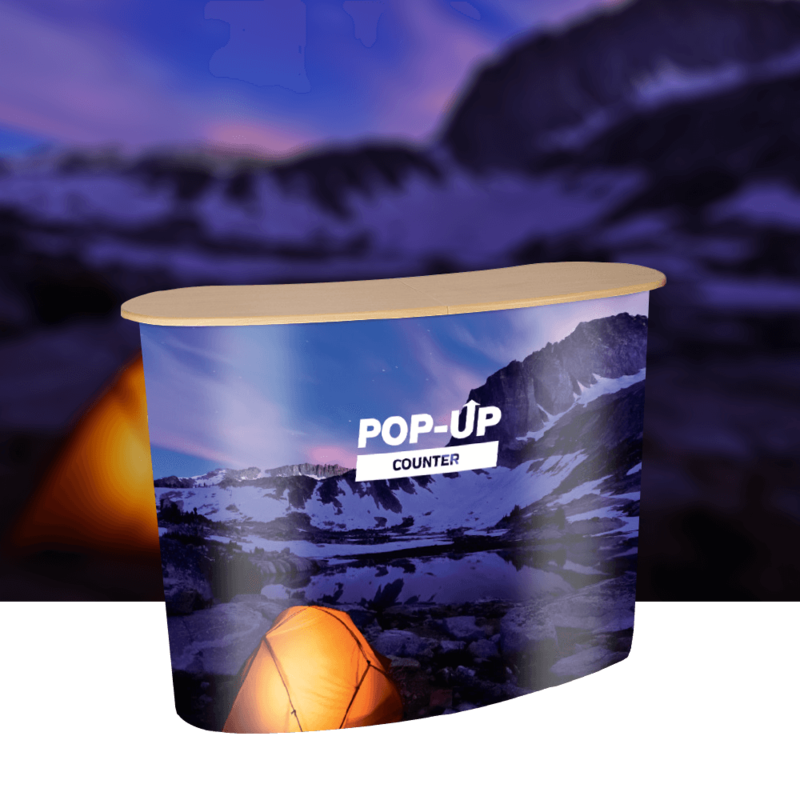 Project Design Print offers two sizes of pop-up counters with graphics printed on the outside of them. 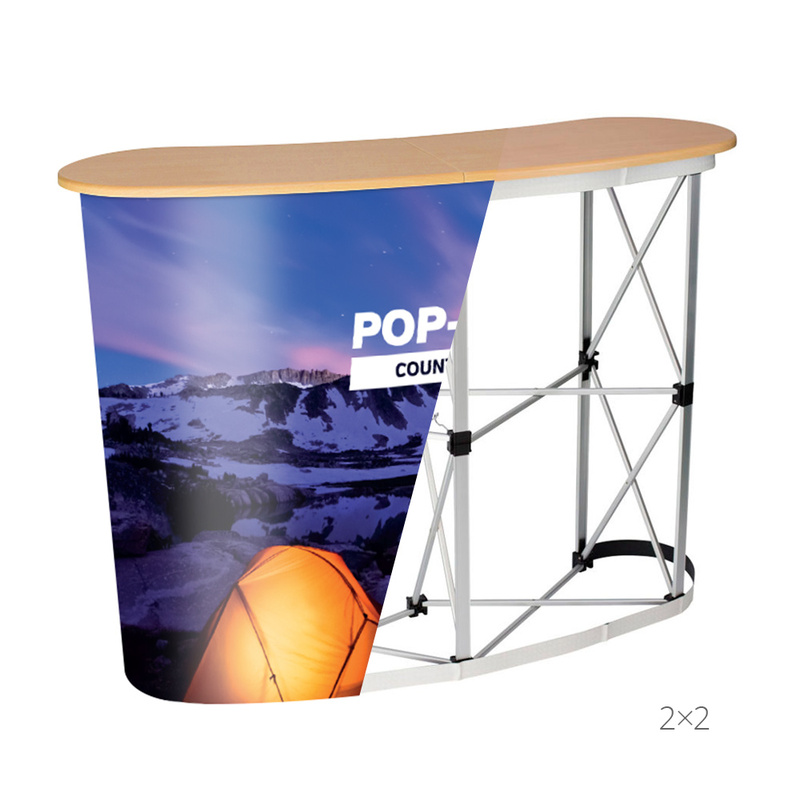 Each size includes a bespoke-printed graphic on semi-rigid, anti-scratch, light-stop, 500 micron CrystalFlex material. There is quick and simple self-locking magnetic assembly, allowing one person to put the whole counter together in about 5 minutes total. The tabletop on the counter is thermoformed in beech effect and has one internal shelf for handy storage. And each counter comes with a reinforced trolley case, for ideal portability.